So we all need a little encouragement, pat on the back and recognition for the jobs we do. I think back to bosses I have had and the best one ever was the boss I had while working at Subway in college. She knew how to encourage and when she did it made me be a better "sandwich artist." She made me feel like a valued member of the team and truly appreciated my sandwich making skills. With all that said, lately I saw that the teachers who work in the school in Peredo needed some encouraging. They work everyday with the kids and really put their hearts into trying to give them a good education. Some of the school kids are literally living in banana leave shacks, some come to school with uniforms in disarray, and some just don't get the love and attention they need at home. I am assuming this is a lot like the issues teachers in the states deal with. They bring kids who are sick to me during school hours, point out the kids who are sitting at home on a school day b/c they don't have the required shoes to come, and tell me which kids families are having a rough time at home. They really care about their students. So I started looking for a way to encourage them to continue to be great teachers for our school kids. Going out to eat in Haiti is a luxury. Those of you who have been here on mission trips know that we try to go to the beach one evening and sit right on the ocean shore and eat fresh, grilled fish. Whenever I am missing pizza or PF Chang's here I remember that for $4 or 5 American I can go down and sit on the Carribean Ocean and eat seafood that was caught a few hours before. You do not see the common Haitian eating at the beach. Definitely the wealthier class, UN soldiers and American missionary groups. So I thought it would be fun to take the teachers and lunch ladies out to eat.-their spouses were invited too. We went after church on a Sunday and had a great time. Not one of them had ever been there before to eat. They really didn't know how to act sitting around the table while we were waiting for food. David, one of the drivers for HCO and my friend went with us and he suggested they go around the table and every couple talk about how they met. One of the lunch ladies is married to the preacher at the church and they have been married for a long time so it was neat to hear their story how she refused his marriage proposal several times before saying yes! This lightened up the mood and we had a great time. I told them how much we all appreciate what they do for our school kids and how they truly are helping make a difference in the village of Peredo. I got a text message from one of the teachers the next day that said, "Thank you for raising our spirits and seeing that sometimes people become discouraged when they are not encouraged." WOW! How true. I receive so much encouragement from people and churches in the states-now I need to focus on doing my part to encourage others more. Thank you for your support of the mission. 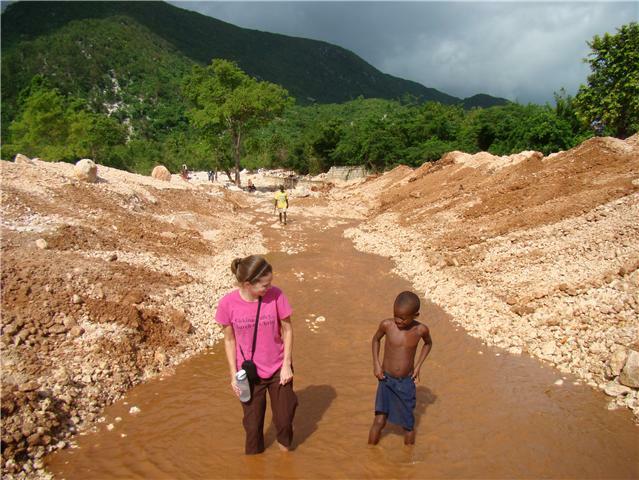 Without your financial support we could not encourage our "front line" Haitian workers here on the mission field. That is awesome! I would have loved to have been there. Did the principal and the teacher from Peredo get married yet? Beth-they are getting married on Feb 27th! In the big open middle of the clinic. They are so excited.